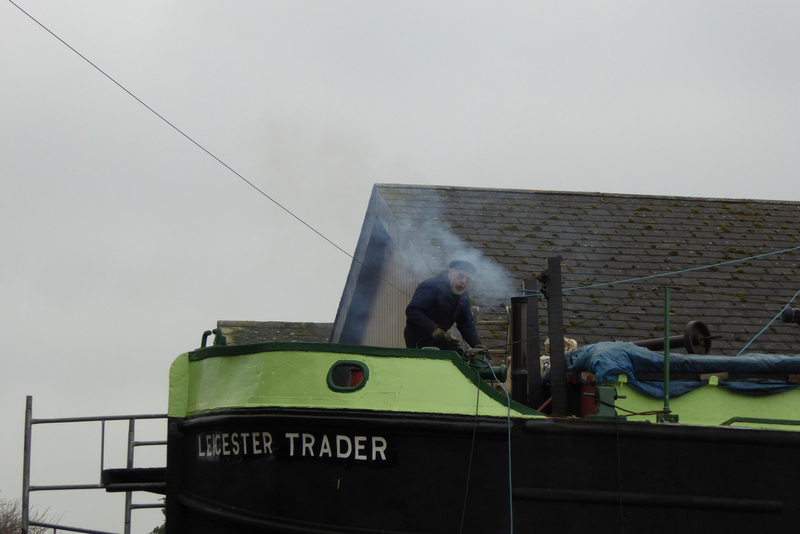 It’s Only a Few Day’s Away Now! 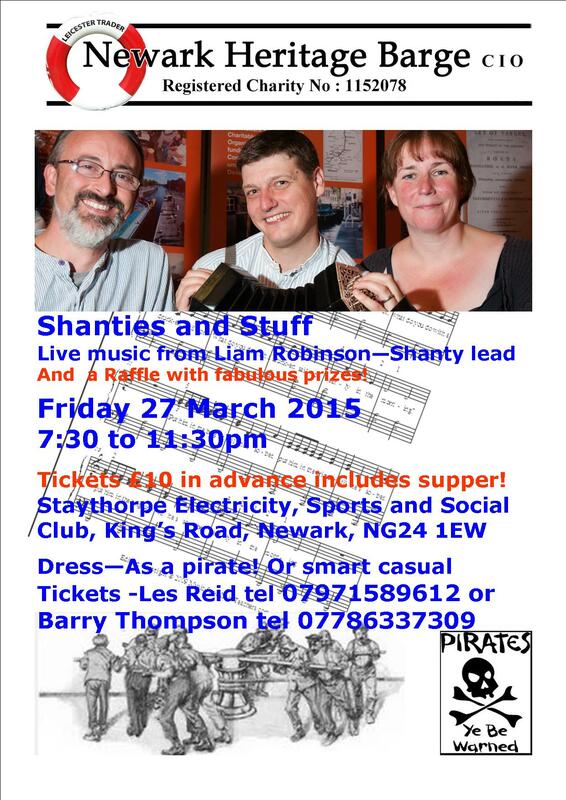 A reminder to get your tickets and come on down to our “Shanties and Stuff”, Friday, 27th March 2015 7.30 pm at Staythorpe Electricity, Sports and Social Club, Kings Road Newark. 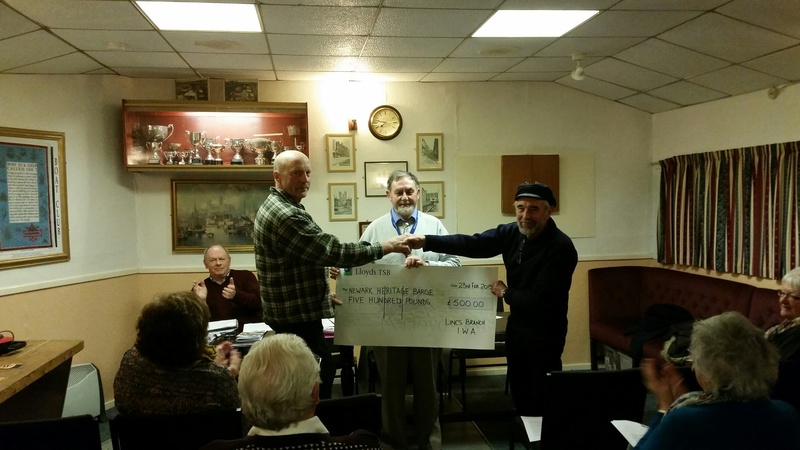 Contact Les Reid tel 07971589612 or Barry Thompson tel 07786337309 for your tickets. 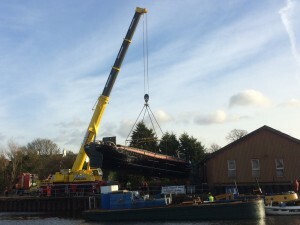 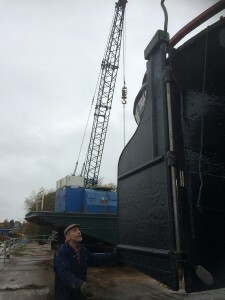 Les’s newsletter (click here to access) mentioned that the repairs to the hull were being delayed through the weather conditions, but that has not stopped our Project Leader from working all available time he can on the barge. 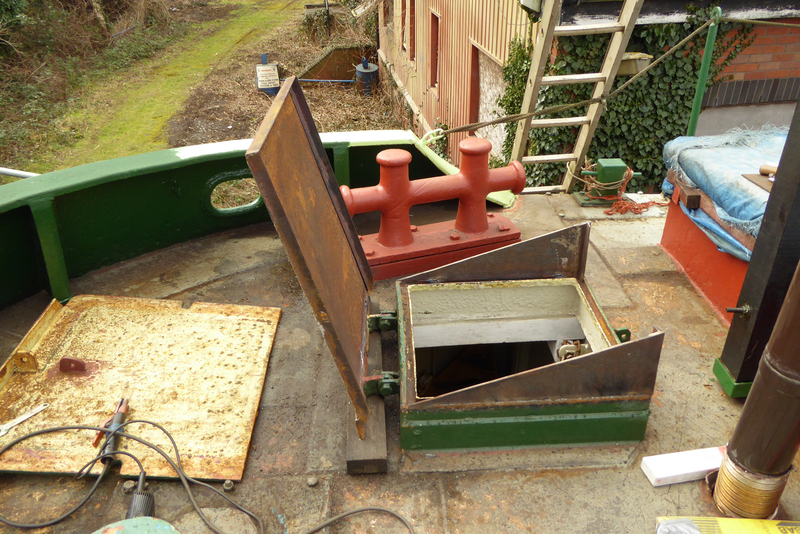 Les yesterday was creating a new lighter weight hatch cover for the foscsle access, as seen in these photos he’s making (as normal) a really good job of it! 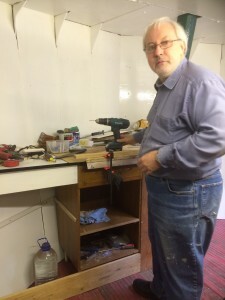 A reminder any help offered will be gratefully received, Les’s contact phone number is 07971 589 612 if you feel you can help in any way.